Acknowledge your feelings – Change can’t begin until you are honest with yourself about how you feel. Ask yourself, “What am I feeling and why?” Don’t push your feelings away because you feel guilty or think it’s wrong to dislike your child. You don’t have to like the emotional truth; you just need to own it. Identify the cause – Find some time to really think about the root of your feelings. Are there external influences affecting your child’s behavior, such as problems at school? Or is it more to do with your own pre-conceived expectations? If you look closely, you may realize that disliking your child is more about you than them—because it has to do with your reaction to their behavior. Sometimes, as parents we are triggered by memories of our own childhood, causing feelings of inadequacy, fear or anxiety. We then project those feelings onto our kids. For example, if you were heavily criticized as a child for not having a stellar report card, perhaps you are hard on your child when he drops below an “A.” Be mindful of this and don’t let it control your parenting. Manage your emotions – Remember, ultimately the only person you can control is you. If your child is different than your expectations, then manage those expectations. Learn to find the space between your child’s action and your reaction. 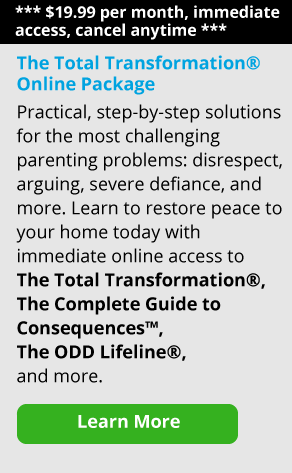 It is here that you can learn to be a calm parent and stay emotionally separate. No matter how your child acts, promise yourself you’ll try to remain calm. Accept your child for who he is and you can move toward a better relationship. Get to know your child better – Make time to do something fun. Learn his likes/dislikes and what makes him tick. Try and listen without judging—children are more likely to react when they feel scrutinized. Your child will appreciate the chance to open up and tell you how they’re feeling. Stay positive – Focus on what’s right and begin building on what is good. Don’t obsess over the negative or try to change who your child is. You’ll have a better relationship if you try to praise your child and affirm good behavior. Sometimes as parents we are too “automatic” with judgment. Make an effort to watch what you say. Your child needs an ally not a critic. By taking responsibility for your emotions and making an effort, you’re showing your child that you want things to be better. Tell your child, “I know we haven’t always gotten along in the past because I’ve been too hard on you. I apologize and am working on it.” That small effort will really go a long way with your child. Get calm, accept your child and help him become the person he’s meant to be.